A one-year, London-based MA programme of twelve evening seminars and individual research led by Professor Sir Roger Scruton. Offering examples of contemporary thinking and including lectures by internationally acclaimed philosophers, the purpose of this programme to give an overall survey of Philosophy and topics that are central to the interaction of philosophy and life. Each seminar takes place at The Reform Club, Pall Mall, central London and is followed by a dinner during which participants can engage in discussion with the speaker. The topics to be considered include consciousness, emotion, justice, art, God, love and the environment. Examination will be by a research dissertation on an approved philosophical topic chosen by the student, of around 25,000 words. Guidance and personal supervision will be provided. He engages in contemporary political and cultural debates from the standpoint of a conservative thinker and is well known as a powerful polemicist. He has written widely in the press on political and cultural issues. 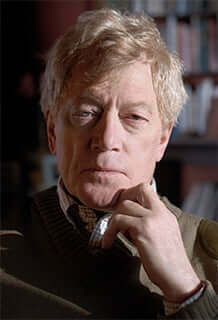 Professor Scruton is the author of over forty books, including The Ring of Truth (2016), Fools Frauds and Firebrands (2015), The Soul of the World (2014), Notes from Underground (2014), How to Be a Conservative (2014), Our Church (2012), How to Think Seriously about the Planet: The Case for an Environmental Conservatism (2012), Beauty (2009),The Aesthetics of Music (1997), The Philosopher on Dover Beach (1990), Sexual Desire (1986), The Meaning of Conservatism (1980) and Art and Imagination (1974). The series of seminars takes place between October 2019 and June 2019. Please note that all seminars take place on Thursday evenings (unless otherwise stated), beginning at 18:30. They will be held at the Reform Club, 104 Pall Mall, London, SW1Y 5EW (see: information for visitors and directions). Each guest speaker seminar begins at 18:30 and is followed by a dinner (also at the Reform Club), at 20:00, with the guest speaker. The cost of all post-seminar dinners is included in the tuition fees.